Over 300 years ago, Jamón Iberico was originated in a village called "Jabugo" located around the mountain range near the boarder line of Portugal and south-west Spain. 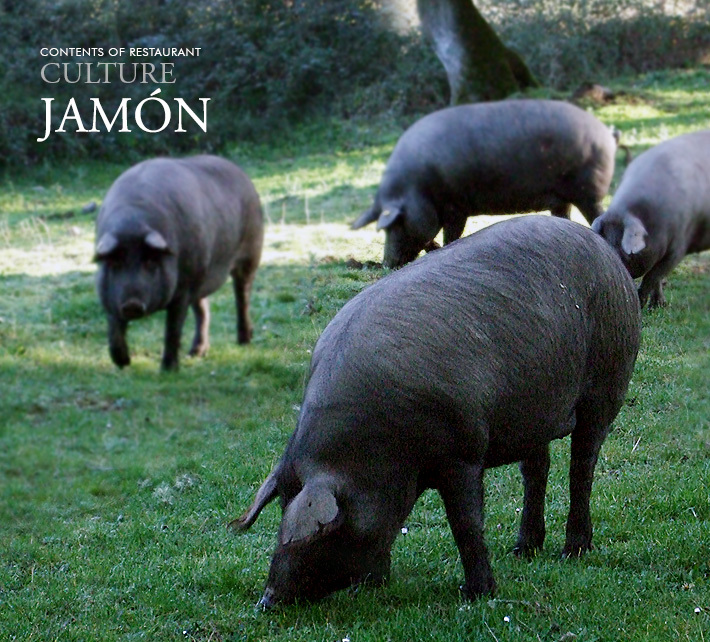 The pure Spanish Iberico pig is well known for its black hoof and black fur covering its whole body. "Iberico Bellota" is specially named to the ones grazed and fed in the acorn season. The cut end surface of the jamón is smooth and beautiful as marble stone. Fine and shining marble meat with rich olein acid and no extra cholesterol. Mouth filling sent of acorns could be found in each elegant taste. Ogasawara-hakushaku-tei is always ready to serve the guest only the best.